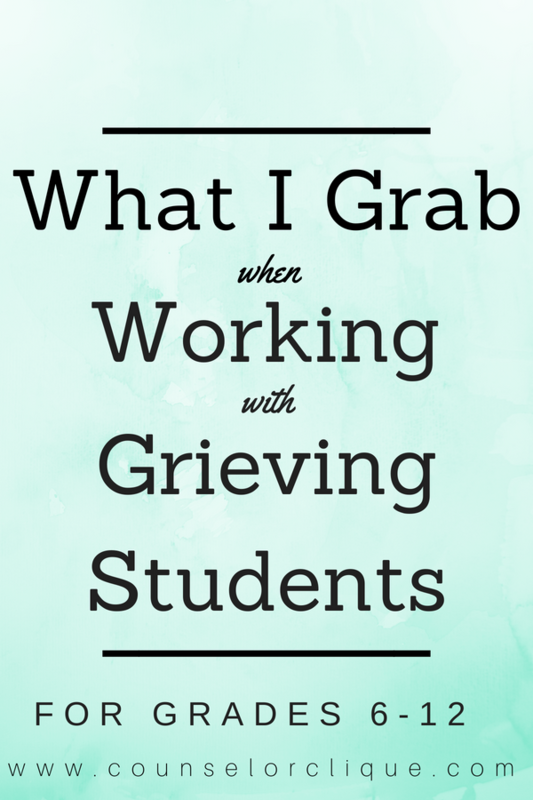 Unfortunately, I have had to deal with grief at the high school level too many times to count. I have run numerous small groups for grief, and I am so encouraged to watch students grow and process their emotions. Our team has set up a protocol for what to do when a student dies, but each situation is a little different. When this happens, we are usually alerted the night before. I usually can't sleep as I lay in bed wondering what the next day is going to entail. 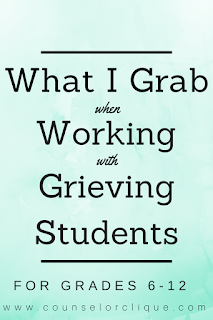 I hope to put out a full grief group curriculum soon, but this can be something to have on hand when you need it. I wanted something to put on my shelf to pull out in individual counseling, small group, or in case of an emergency... because grief at school is NOT something you plan for. You have to be prepared. In my TPT store, there is a color option and a black and white option. I printed both on cardstock and cut with a paper cutter. Go HERE to check them out.